Fate/stay night [Heaven’s Feel] II. Lost Butterfly will be showing at selected SM Cinemas beginning April 3. It is a Japanese anime film which focuses on the story of the Holy Grail War and explores the relationship between Shirou Emiya and Sakura Matou, two teenagers participating in this conflict. 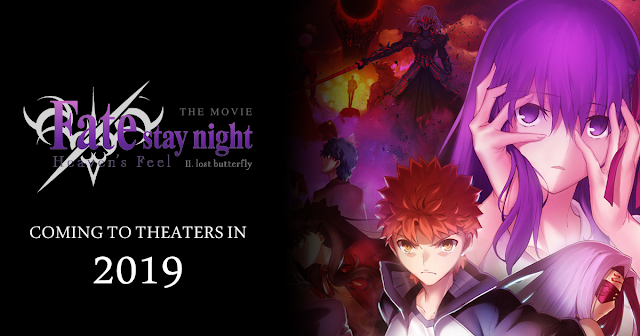 The story continues immediately from Fate/stay night: Heaven's Feel I. presage flower, following Shirou as he continues to participate in the Holy Grail War even after being eliminated as a master. It is the second film in the Fate/stay night: Heaven's Feel trilogy. Ticket price ranges from ₱170 ~ ₱285 depending on the location.